From the largest tree removal to the most meticulous pruning — Beaver Tree Services are true specialists. There it is — sitting in the midst of the gorgeous flowers and foliage you have worked so hard to tend and maintain. Tree stumps are usually nuisances; they could be located at a strange angle along the entrance of your property, or worse, several of them could be scattered all over the landscape where children and pets love to run and play around in. Tree trumps remain on the ground after trees have been cut. Fortunately, home or business owners like you have the option to have them undergo the process of stump grinding. 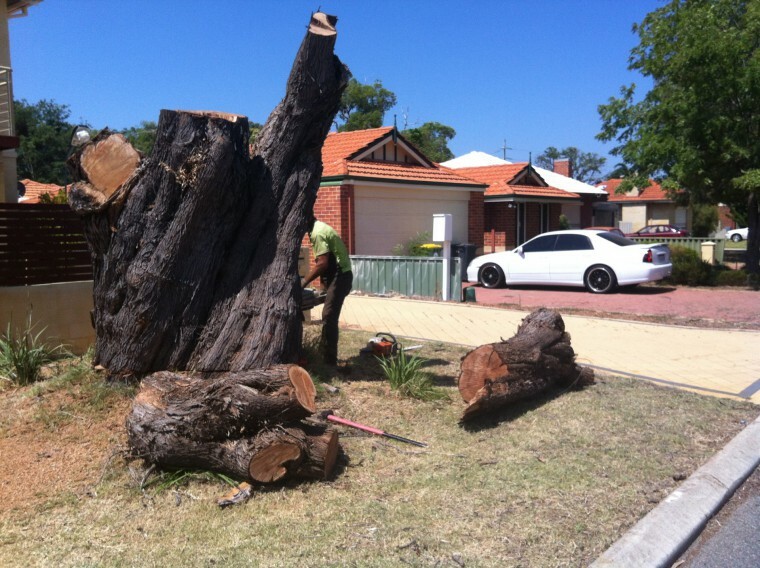 If that does not sound like a viable option, you can still go for a total stump removal for your Perth property. Here at Beaver Tree Services, we offer that kind of service, which can help you achieve the goal of having a flawless, clear, and safe landscape. As the name states the removal of the stump by digging out of the ground to allow for building, retaining walls or replanting at that location. This requires very specialised equipment and operators. Work with Beaver Tree Services and watch the speedy transformation of your space!